Retirement isn't what it used to be. Once upon a time, you worked full-time until age 62 or 65, collected your gold watch and pension, and then fled to Sun City for a leisure-filled later life without worry. But that model began to break down when boomers began to retire a decade ago and their large numbers, coupled with greater life spans, began to overwhelm the pension system. Today, this retirement ideal is in shambles; most folks say they plan to work in retirement  an oxymoron for the ages. In a series of surveys, AARP found that the age to which at least half of pre-retirees planned to work rose from the mid-60s in 1997 to 70 or older today. This isn't just talk. Between 1995 and 2005  before the onset of any financial strain owing to the Great Recession  men in the labor force ages 62 to 64 jumped to 53% from 45%, the Urban Institute reports. Many who plan to work in retirement say it's because they'll need money. Indeed, working longer is the closest thing you'll find to a silver bullet if you have not saved enough. Staying on the job five years longer enables the average retiree to increase annual spending 56%, according to the Urban Institute. But pre-retirees cite other reasons for staying at work too  like keeping busy, mentally fit, relevant and physically active. 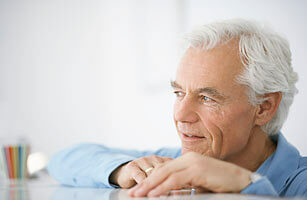 Research has shown that those who stay on the job into their 70s tend to report far fewer health problems. Meanwhile, an overwhelming majority of folks working past age 70 report liking their job. The key is being able to work on your own terms (less stress, flexible hours), which is much easier to make happen once you've hopped off the corporate ladder and said goodbye to big child-related expenses and possibly your mortgage. If you're thinking about working in retirement, here are four questions to consider. Next Should I Launch a New Career?